Our Mission is simple: to provide our patients with the finest endodontic treatment available anywhere. 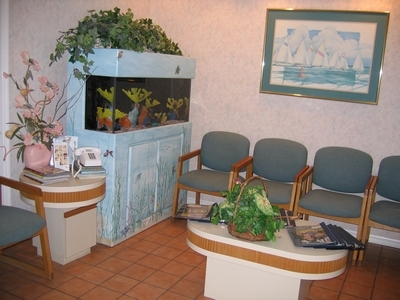 We go to great lengths to make your visit here comfortable and painless. Our staff is highly trained, and we are not happy unless your expectations are met or exceeded. At our office, we believe that perfection is expected and excellence is accepted. Please notify us if we have fallen short during any portion of your interaction with our office. Our office is considered by many to be one of the most high-tech practices in the country. We are paperless, treat all cases through the microscope, and take all radiographs with digital technology. We are committed to bringing the most recent technological advances to our practice on a continuous basis. Our practice philosophy is to bring a level of customer service to the Central Florida region that is unsurpassed. We appreciate that you or your general dentist have selected our office, and we assure you that we realize that "WE WORK FOR YOU". Every effort will be made to make your visit to our office comfortable, and yes...maybe even fun! 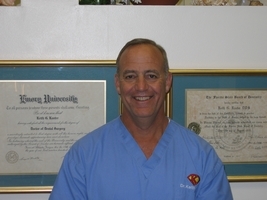 Dr. Kanter is an Orlando native, and practiced general dentistry in the Navy from 1977-1983. He is an Alumnus of University of South Florida, Emory University School of Dentistry and the University of Southern California.